My real Eagle Industries LAND CIRAS in Coyote Brown (CB) color. The Eagle Industries Combat Integrated Releasable Armor System (C.I.R.A.S.) 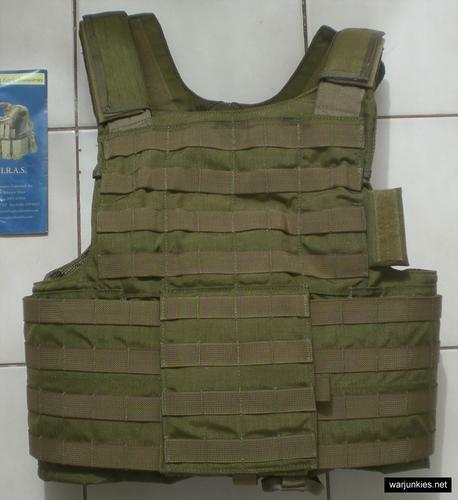 is now the armor carrier of choice for USSOCOM (BALCS-R). The C.I.R.A.S. vest incorporates a single release cable (Patent Pending) that makes the assembly process easier than it\'s predecessors. There are two versions of the Eagle C.I.R.A.S. vest, the Maritime (CMS-MAR-CIRAS) and the Land version (CMS-MC-CIRAS). And this one is the Land version. Currently used by US Marine Force Recon.